The Disney Parks Blog has shared the 1st look of the Pandora Utility Suit – The World of Avatar at Disney World’s Animal Kingdom. The Pandora Utility Suit will soon be used to study the wildlife, collect plant samples, and survive Pandora’s terrain. 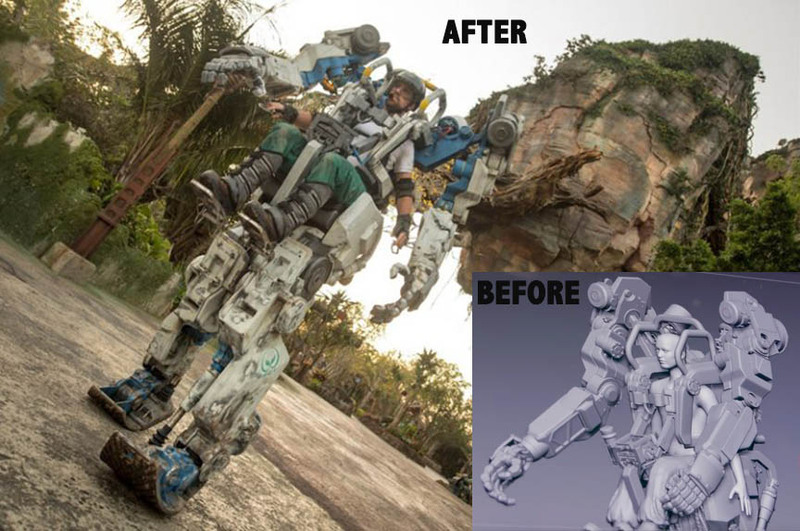 The amazing Pandora Utility Suit was created in partnership between Lightstorm Entertainment, Disney Parks Live Entertainment, Michael Curry Studios and Walt Disney Imagineering. Check out the video above as Tony Giordano, Robert King and Laura Offerdahl from Disney Parks Live Entertainment take you behind the scenes as this amazing suit comes to life. You can encounter the Utility Suit pilot in Pandora – The World of Avatar starting April 22. Be sure to check the Times Guide or the My Disney Experience App the day of your visit for the latest information. Fly on the back of a mountain banshee during an exhilarating, 3D ride above this vast moon, only at Pandora – The World of Avatar.